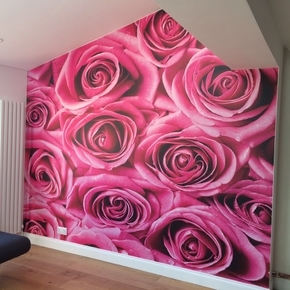 As an all-female team of interior decorators working across Sussex and Surrey we offer clients a comprehensive service which includes fine quality wallpaper hanging. 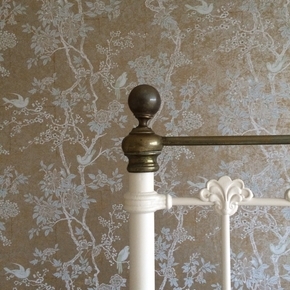 We have been hanging wallpaper for many years, always achieving a perfectly flawless finish to transform interiors. 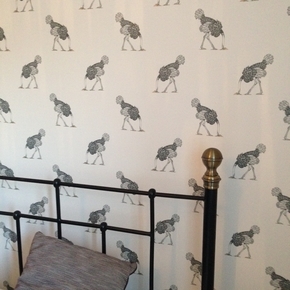 Wallpaper is a very useful decorative tool and can be used in a number of ways, and to perform a number of functions. Decorative wallpapers are available in a huge array of styles and designs and give a room impact. Whether hung on just one wall, as an accent, or used all around the room, wallpaper is a powerful way of making a statement and can be used to deliver the 'wow' factor. Wallpaper can also be used to conceal minor flaws and imperfections to give great results. We delight in the transformative effect of hanging wallpaper and will go to great lengths to achieve a flawless finish. We apply lining papers in a variety of grades according to the condition of the surface underneath. 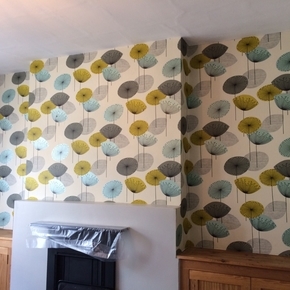 If walls are in a particularly poor condition, or if a decorative wallpaper is of a fine grade, quite thin and 'flimsy', we often line a wall before hanging a decorative wallpaper. In this case we can cross-line the wall, i.e. hang the paper horizontally, so that the seams of the decorative paper do not lie over the lining paper seams and create a ridge. Using lining paper like this gives a good, sound base ready for the application of the decorative wallpaper. However, before lining, walls still need to be properly prepared, sanded, filled and then washed down, since lining paper cannot hide major holes, cracks and lumpy surfaces. As skilled interior decorators we always recommend the use of quality materials and over the years we have hung literally thousands of rolls of wallpaper, including those from designers and premium brands such as: Barnaby Gates, Beware The Moon, Brian Yates, Cole & Son, Designers Guild, Farrow & Ball, Fired Earth, House of Hackney, Little Greene, Nina Campbell, Osborne & Little, Sanderson, Timorous Beasties, Villa Nova and Zoffany and many more. 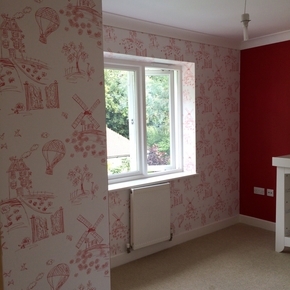 Please click to see some of our completed projects in our Wallpaper Gallery or click on some of the images below.